Life, Doctor Who & Combom: Audio-Go is Audio-Gone? 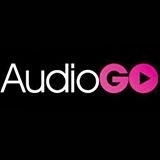 Bad news to all Doctor Who audiobook lovers - AudioGo is having a business crisis, and have temporarily suspended sales. So you can't buy anything through their website at all just now. "Audiobook publisher AudioGO has put its business operations on hold due to "recently discovered significant financial challenges". They go on to talk about cash-flow problems - it must be fairly serious if they can't afford to sell product in the meantime. The US version of the site is in the process of closing down and its assets have apparently been sold back to Blackstone Audio, the US audiobook publishers who were bought out by AudioGo less than a year ago. Exactly how or if this will affect Big Finish remains to be seen (we know that permission to make Big Finish audios technically goes through AudioGo, as per their recent licensing renewal). If it came to it, Big Finish might be able to renegotiate directly with the BBC again but this could be very awkward in the meantime. It certainly means that the "Destiny of the Doctors" audios are up in the air, even though they're probably been created and prepared for release long since. As for official comments from AudioGo...well, we have this Tweet. We hope to be back to business as usual shortly. We appreciate your patience during this time and look forward to serving you again soon! "Hello everyone. We're really sorry, but we can’t process orders on the site currently. If you have an urgent request, please PM us and we’ll do everything we can to help. We hope to be back to business as usual shortly. Thanks for your patience."